In 1948 Israeli forces depopulated and ethnically cleansed several Palestinian villages to create the Modern State of Israel (not to be confused with the Biblical Land of Israel). In the 1970s members of the Jewish community in South Africa had previously donated to the pro-Israeli Jewish National Fund (JNF), donations that were used by Israel to plant a forest (the “South African Forest”) on top of the Israeli-destroyed Palestinian village of Lubya. 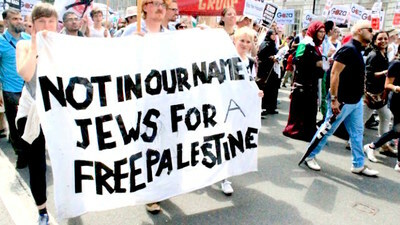 It has subsequently emerged that the JNF’s aim of planting such forests was to cover up and hide Israel’s crimes and destruction of Palestinian villages, to conceal blame and try to consign Palestinian memories of their previous homes to oblivion.Last year members of the South African Jews for A Free Palestine (SAJFP) travelled to Palestine-Israel and publicly apologized to descendants of Palestinian refugees for their role in Israel’s displacement of Palestinians. Click here for more info.